Mr Abubakar Gwadabe, Project Manager, World Bank-Funded Projects, has called for transparency in peaceful land acquisition for development projects funded by donor agencies. Abubakar made the call in his speech at a one-day stakeholders’ discussion panel on Issues, Concerns and Rights on Land Acquisition for Development, on Friday in Abuja. The programme was organised by Transmission Company of Nigeria (TCN) with the support of the World Bank-Assisted Nigeria Electricity and Gas Improvement Project. According to him, there should be transparent laws that guide land acquisition at all times. “There are laws guiding land acquisition and land compensation; if the law is transparent it will enumerate the procedure to follow for either land donation or acquisition. “It will also outline the enumeration of the economic crops or other economic development on the land. Abubakar said that already existing laws hampering development should be done away with. He advocated for new laws to accommodate prevailing situations, including consideration of peculiarities from each state. Dr Kitan Oluwagbuyi, Social Safeguard Consultant for the World Bank on TCN, also said that the main objective of the workshop was to address problems related to land acquisition for development by donor agencies. “Most of the TCN projects supported by donor agencies require land; the project which is about building sub- stations across the country so that they can give electricity, there is need for land. “State governments have also provided these lands but in the course of taking possessions of these lands, there are some undercurrents of discontentment that are coming in. She said that in some of the sites, the devaluation was caused either by over-zealousness, where some lands were cleared even before the TCN came to claim possession. 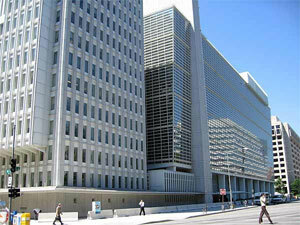 The post World Bank official advocates for transparency in land acquisition for devt appeared first on Vanguard News.